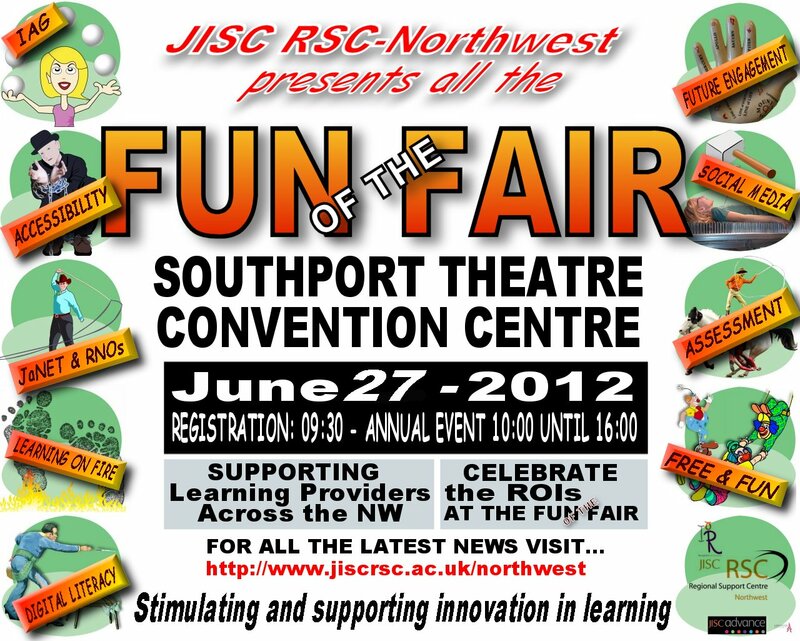 Roll up, roll up, you’re invited to JISC RSC Northwest’s flagship Annual Event on Wednesday, June 27 2012 at Southport Theatre Convention Centre. All the Fun of the (Technology) Fair is from 10am-4pm and will be based in three areas which showcase different aspects of technology use. 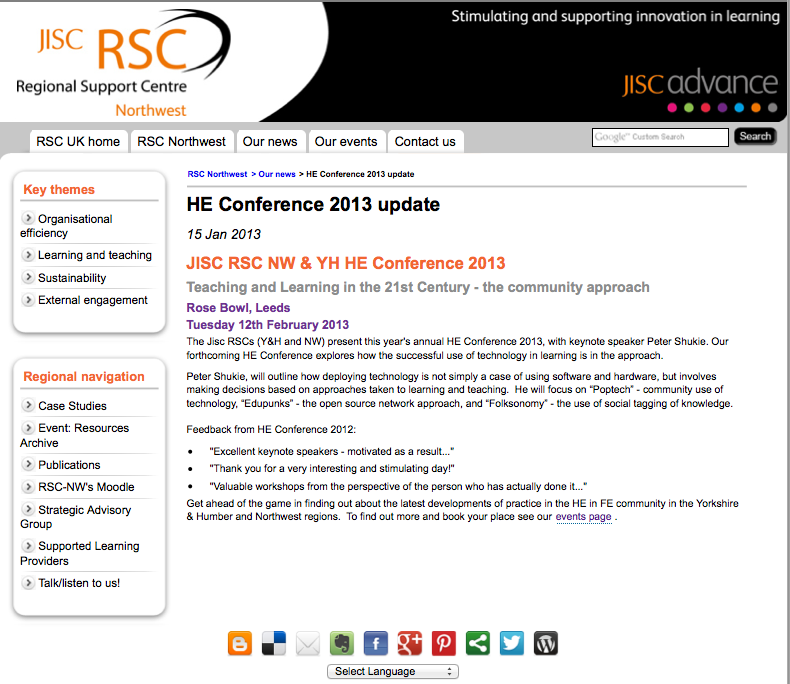 This engaging day out promises something for all supported learning providers whether you work in Further Education, Higher Education, Work Based Learning, Adult Community Learning or a Specialist College. New Emerging Technologies which are both free and sustainable (clowns). Feltlikeit Create a free website or blog at WordPress.com.